Shaped by encrusted layers of development spanning millennia, the southern Italian city of Matera is the ultimate palimpsest. Known as the Sassi, the majority of the ancient city is composed of thousands of structures carved into a limestone cliff and clinging to its walls. The resultant menagerie of forms possesses a surprising visual uniformity and an ineffable allure. 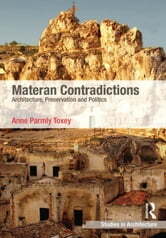 Conversely, in the 1950s Matera also served as a crucible for Italian postwar urban and architectural theory, witnessed by the Neorealist, modernist expansion of the city that developed in aversion to the Sassi. In another about-face, the previously disparaged cave city has now been recast as a major tourist destination, UNESCO World Heritage Monument, and test subject for ideas and methods of preservation. 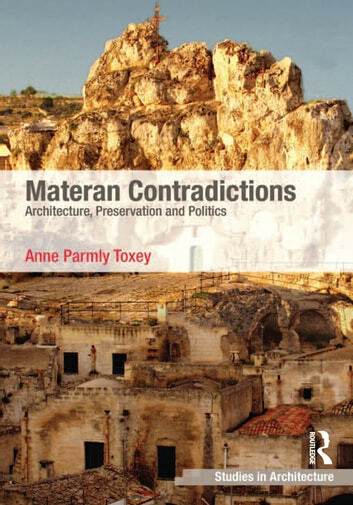 Set within a sociopolitical and architectural history of Matera from 1950 to the present, this book analyses the contemporary effects of preservation on the city and surrounding province. More broadly, it examines the relationship between and interdependence of preservation and modernism within architectural thought. To understand inconsistencies inherent to preservation, in particular its effect of catalyzing change, the study lays bare planners' and developers' use of preservation, especially for economic goals and political will. The work asserts that preservation is not a passive, curatorial pursuit: it is a cloaked manifestation of modernism and a powerful tool often used to control economies. The study demonstrates that preservation also serves to influence societies through the shaping of memory and circulation of narratives.